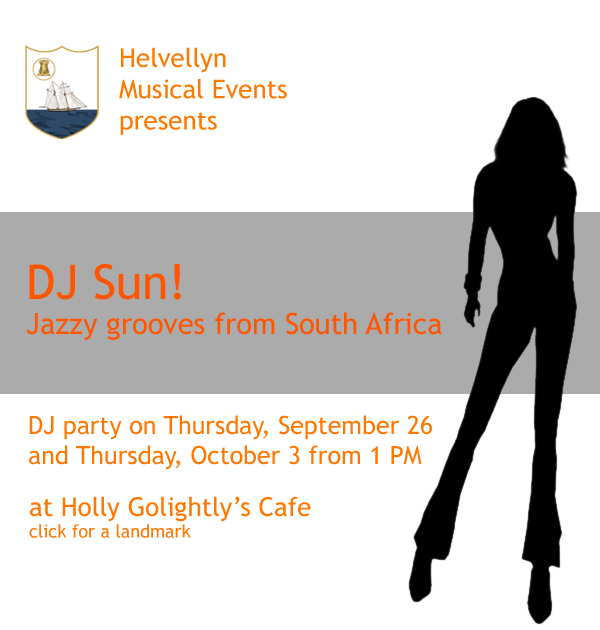 You are invited to dance with us at Holly Golightly’s Cafe with DJ Sun on Thursday September 26 and Thursday October 3 from 1 PM SLT. DJ Sun is part of Sunvibes, a small Second Life project that helps you explore music from all over the world – sounds that will teach you traditional melodies, and beats and show you how they evolved over the years into modern styles. Sunvibes is a group of friends that like to dance together or share fun chats, discuss the ways of the world, or get creative in the many many ways Second Life & Real Life allows us to do so.